Anders Behring Breivik, who has admitted being behind the bombing and shooting spree in Norway on Friday, targeted journalists in a manifesto sent out by email hours before the attacks took place. The 1,500 page manifesto, entitled "2083: A European Declaration of Independence", is credited to an Andrew Berwick, an Anglicised version of Breivik's name. In a section headed "Category A, B and C traitors' concentrations", Breivik writes that annual gatherings of journalists are "considered THE MOST attractive targets for large scale shock attacks due to the amount and quality of category B traitors". He goes on to cite a specific Norwegian journalism conference run by SKUP, a foundation set up to help promote investigative journalism. Breivik writes that "the most notable journalists/editors from all the nations media/news companies attend" the conference, and says its "light or non-existent security" make it a "perfect target". 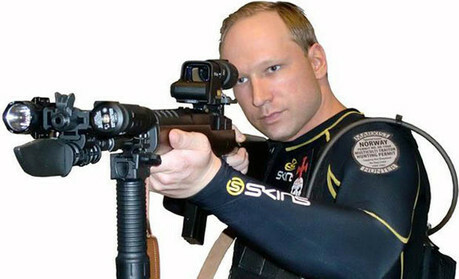 Breivik includes an overview of the conference and details of a potential attack. He states that the goal of an attack would be "collapse of building causing maximum casualties coupled with secondary assault method". The manifesto, which is frequently critical of journalists, also attacks literary conferences and festivals, claiming that they are populated by writers, journalists and editors that support multiculturalism. In a long section entitled "Dealing with journalists", he writes that they should be approached with "extreme prejudice" and considered as "multiculturalist political warriors and overwhelmingly left wing political activists". Elsewhere he claims that 99 per cent of them support multiculturalism and are "therefore supporters of the ongoing Islamic colonisation of Europe". He also names journalists as part of a "Western European cultural Marxist/multiculturalist intellectual elite". In a section titled "Media Ownership", Breivik criticises media companies, singling out Rupert Murdoch over his ownership of UK newspapers and "successive UK governments" which have "allowed his empire to grow in return for his media's support". The manifesto also includes a breakdown of the distribution and finances of Norwegian newspapers. Breivik is appearing before a court in Norway today, and reportedly requested to attend in uniform and read a statement about the reasons for the Oslo attack. It was decided yesterday that the hearing would be held behind closed doors. On Friday, the day of the attack, Journalism.co.uk reported how the offices of VG, Norway's largest newspaper, had been damaged in the bomb blast in Oslo. The building is located opposite the government headquarters, which were severely damaged in the explosion.